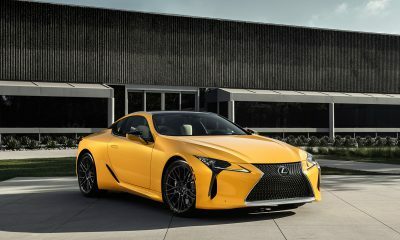 Last month, Lexus shared a teaser photo of the 2020 Lexus RC F Track Edition ahead of the Detroit Auto Show, and our imaginations ran wild. 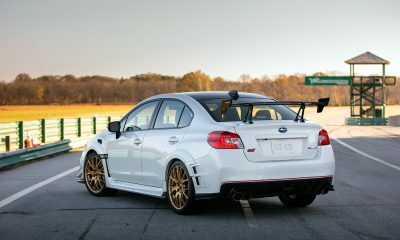 Now we’ve got the goods on the all-new, limited production Track Edition, and it sounds like it should be a lot of fun! Given the “Track Edition” moniker, we expected Lexus to dial up the performance to 11, with a healthy bump in power, a more rigid suspension, and super sticky Michelin Pilot Sport Cup 2 tires, along with some wild aero to keep everything planted at speed. Sadly, Lexus had other ideas in mind. 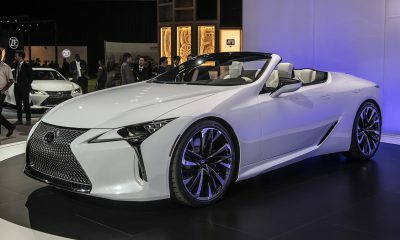 They decided to blend the luxury and craftsmanship of Lexus with performance upgrades typically reserved for exotic sportscars, delivering a car that pulls double-duty as a luxury car for the street and a serious performance car for the track. 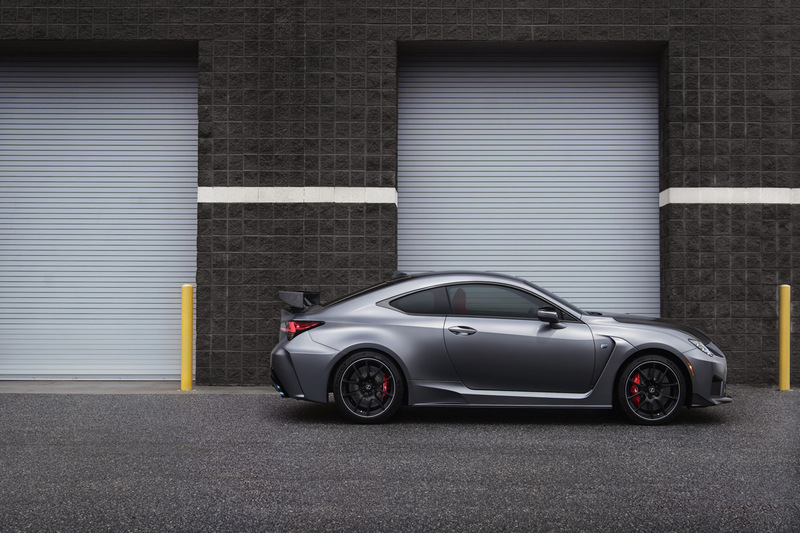 While the Lexus RC F Track Edition doesn’t get any extra power (though it’s no slouch with its 5.0-liter V8 engine that puts out 472 horsepower and 395 lb-ft of torque and rockets from 0-60 in 3.96 seconds), they managed to reduce the weight of the car by 176 pounds compared to the previous RC F. It’s still rather hefty at 3,782 pounds, but every little bit helps. In addition, Lexus engineers improved the RC F Track Edition’s aerodynamic signature. 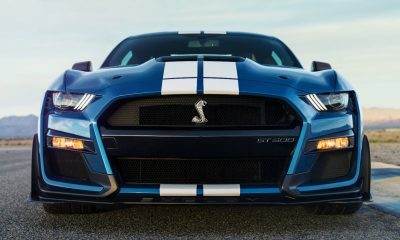 Up front, a unique front splitter with canards saves weight thanks to its carbon fiber construction, while also increasing front end downforce for better grip and more precise steering. At the rear, there’s a fixed rear wing made from carbon fiber that pulls double duty by simultaneously reducing drag and adding downforce. 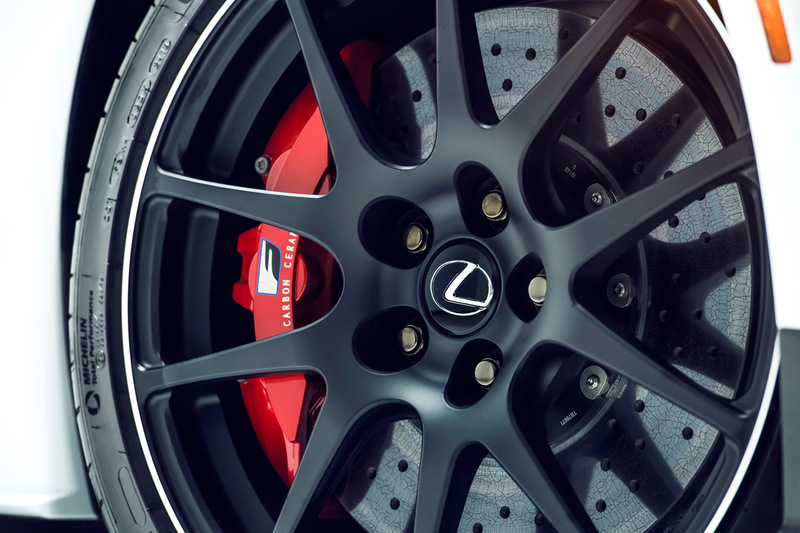 Every Track Edition model is upgraded with Brembo carbon ceramic brake rotors. They are not only significantly lighter than their steel counterparts, they’re also better able to withstand the extreme heat cycling associated with performance driving. They are surrounded by a set of lightweight 19” BBS forged alloy wheels that feature a design derived from the RC F GT3 race car. 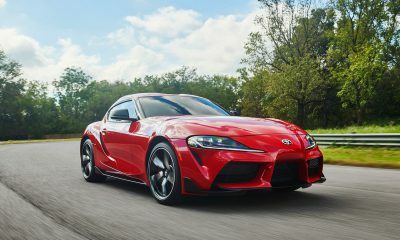 Between the wheels, brake rotors and calipers, the Track Edition boasts a significant 55-pound reduction in unsprung weight on the front of the car alone. Additional weight was removed by specifying carbon fiber for the roof and hood along with a carbon fiber partition behind the rear seats and a carbon bumper reinforcement. A titanium muffler and tail pipes also help shed weight while giving the car a unique sound. 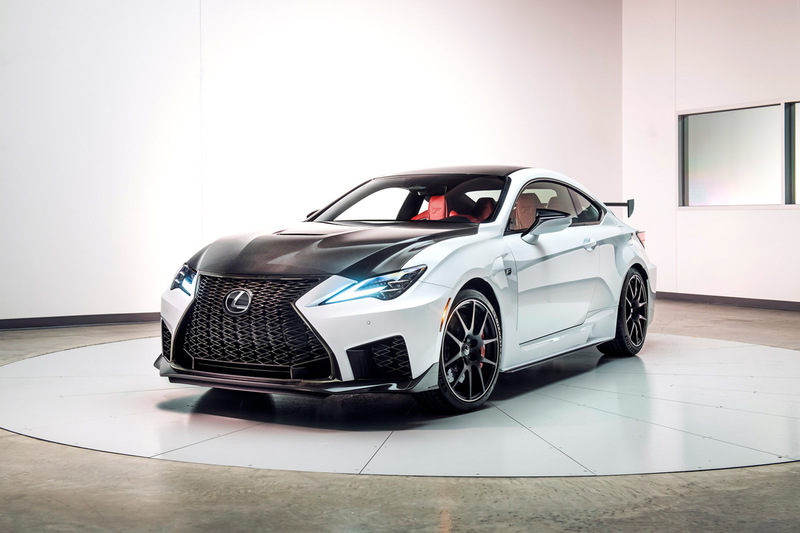 Only two exterior colors will be available for the RC F Track Edition: Ultra White and Matte Nebula Gray (exclusively available on the Track Edition). Inside, a red leather interior comes standard along with Alcantara seat accents and red carbon trim on the doors and dashboard. Pricing will be announced closer to their on-sale dates in the second quarter of 2019. 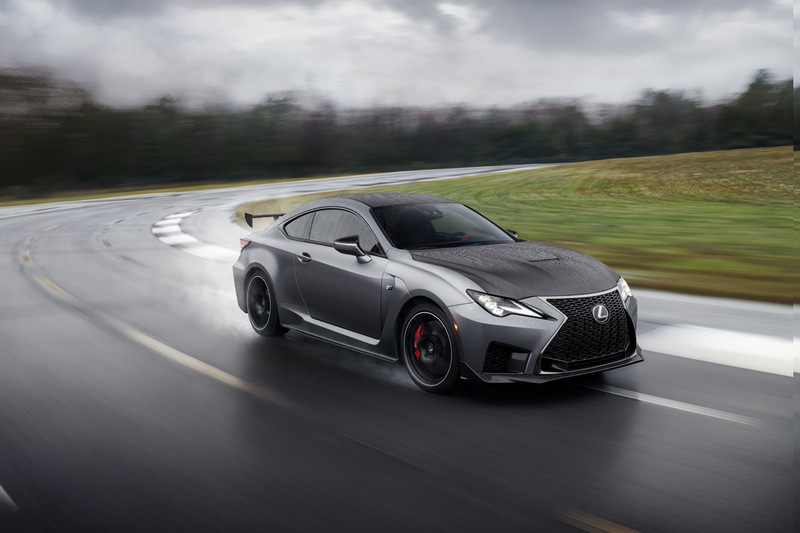 What do you think of the 2020 Lexus RC F Track Edition?